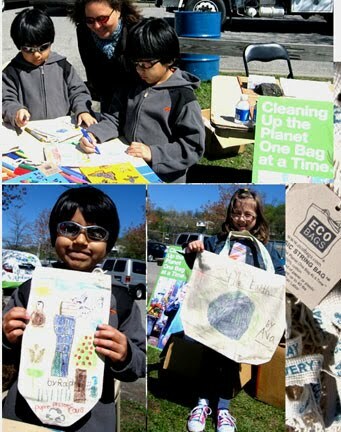 We celebrated Earth Day a few weeks ago in our hometown of Ossining, NY, along the Hudson River. It was a windy (chilly), sunny day and lots of people came out for the festivities. After weeks of planning with a great group, led by our town supervisor Catherine Borgia, we got a chance to chat with our neighbors about all that can be done to green up our lives and the planet. I imagine there are Earth Day celebrations all over bringing like minded and newly engaged people together.